This recent Bored Fortress side (sharing a split with High Wolf) is by the Savage Young Taterbug. 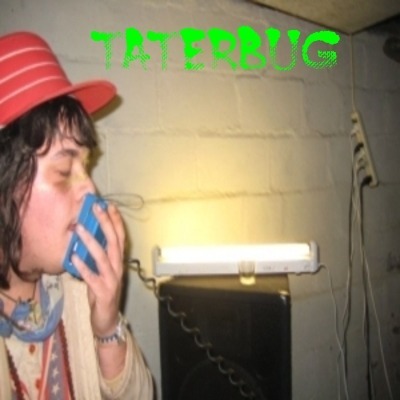 The six minute plume haunts the taped samples these sounds initially embodied (say hi to “Home on the Prarie” as it slips by), stitched together like a docile Frankenstein with feedback scars and a simmering pathos embodied in the swirling, damaged savagery young Taterbug has inflicted on his precious. That wasn't supposed to sound like a metaphor for onanism. If it did, that's just how much love you gotta massage into this somber cassette alchemy to rub out the kind of offbeat liquid gold Taterbug is known for. I think that when Charles “Free” Taterbug uses the song title “Nightmare of Party Children”, he is most certainly talking about drugs. You can investigate the other side of the vinyl where this thing resides by ordering the 7-inch from Not Not Fun.